Efficient thermal insulation is an integral part of maximising the benefits of passive solar design or any other form of space heating. Best practice is to insulate to levels well above building code requirements. The additional cost is very soon recouped in energy savings and there is nothing to be gained by installing less than optimum levels of thermal insulation. 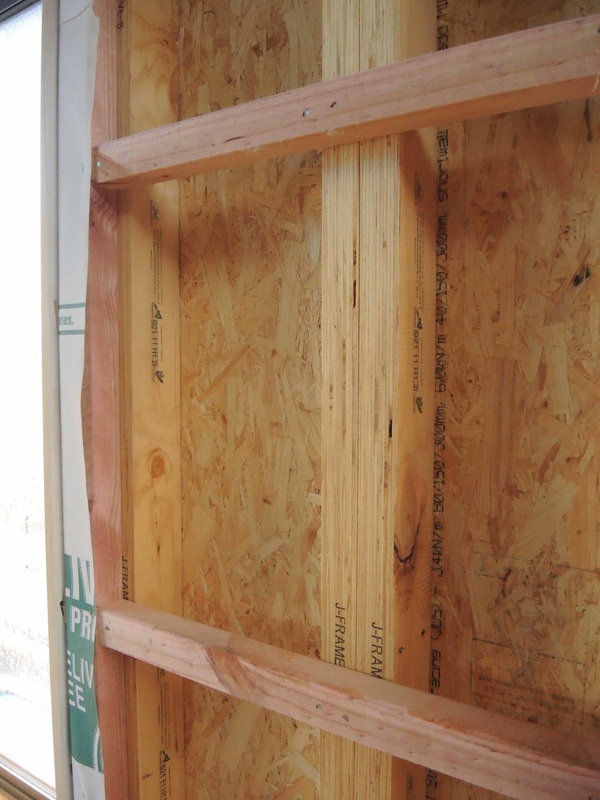 When building a new house or an addition consider using 140mm wide wall framing instead of the standard 90mm so that wall insulation can be increased. For renovations a similar level of insulation can be achieved by adding a 45x45mm batten over the existing 90-100mm studs. Unless roof space is an issue, such as near the eaves, two layers of at least 90mm ceiling insulation should be used, giving an rating of over R4, as a large proportion of interior warmth is lost through the roof. Electricity generating solar photo-voltaic (PV) panels have come down in price considerably and are now a viable alternative to the more common solar hot-water heating panels. PV panels are very reliable and a grid-connected system with net metering (where excess electricity will be credited against your power use) will reduce your energy costs even when the house is unoccupied. 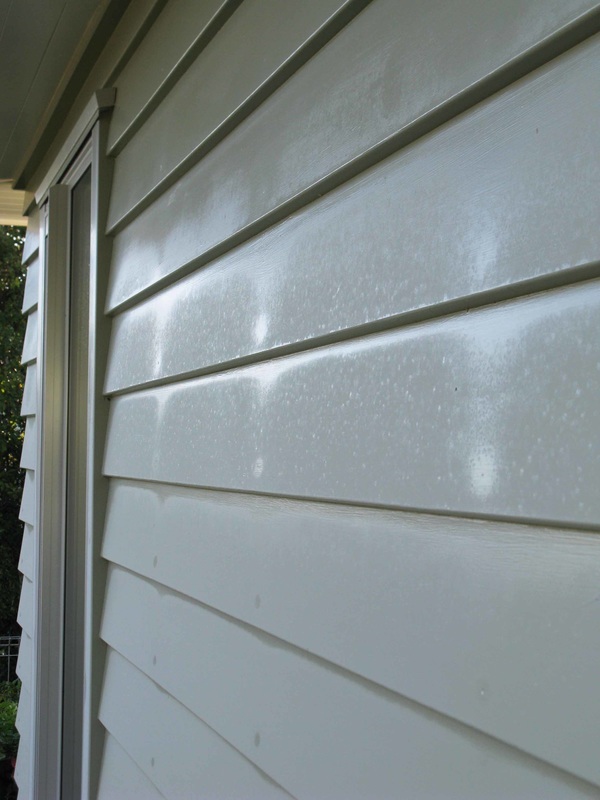 A wet-back in a wood-burner or pellet-burner fireplace can be used supplement water heating costs although these do affect the efficiency of the fireplace. providing easily accessible switches for appliances that use power unnecessarily on standby (such as microwave ovens) so they can be switched off when not in use; turning off appliances at the wall when not in use will make a noticeable saving to energy consumption over a year. 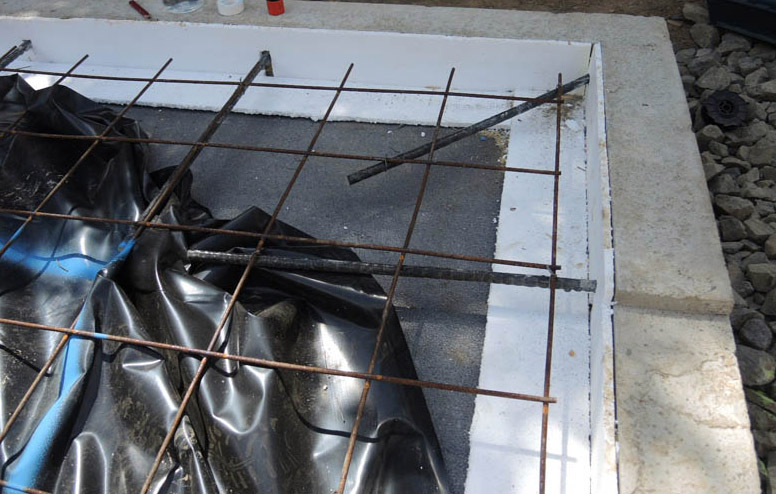 The excessive thermal bridging (heat loss through uninsulated or high density materials) created by the reinforcing steel ties between the floor slab and foundation wall can be avoided by using 12mm fibreglass Marteen reinforcing bars instead. The concrete floor slab shown below was poured over 50mm Koolfoam Black Pearl expanded polystyrene, with 10mm XPS polystyrene around the border completing the thermal break.